Corrosion costs Australian industry billions of dollars every year. Corrosion comes in many forms and has many causes but can affect all structures whether they are steel, concrete or other ferrous or non-ferrous metals. When corrosion strikes the results can be costly to repair, catastrophic when structural integrity is imperiled and in some cases risk environmental disaster. 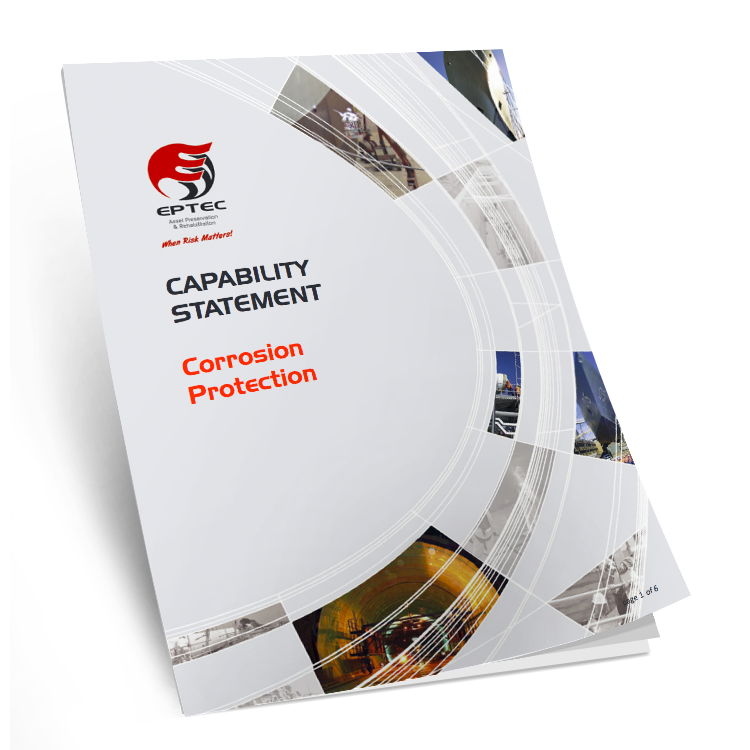 Eptec are leading the way in reducing this cost and risk burden for Australian asset and infrastructure owners by offering corrosion protection. At Eptec we specialise in corrosion mitigation and protection of steel and concrete structures exposed to corrosive environments. Our close association with all major material suppliers (Australian and International) allows us to assist in the development of solutions to most corrosion problems. Whether the solution to a corrosion problem is a coating system, a flat sheet or cast in lining (HDPE, PVC) or a laminated FRP system Eptec will provide the solution. Along with conventional methods of surface preparation (dry abrasive blasting, chemical cleaning, mechanical preparation methods) Eptec also offer environmentally sustainable methods including UHP water cleaning and wet slurry abrasive blasting. For more information on our corrosion protection services, feel free to contact us. Marine (Naval and Commercial vessels).